LAST CHANCE TO ENTER! “ROAM” Holiday Gift Pack! It’s hard to believe the holidays are here! Like many, I spent Thanksgiving week scouring websites for the absolute best deals I could find. And believe it or not, I’m DONE with my holiday shopping! 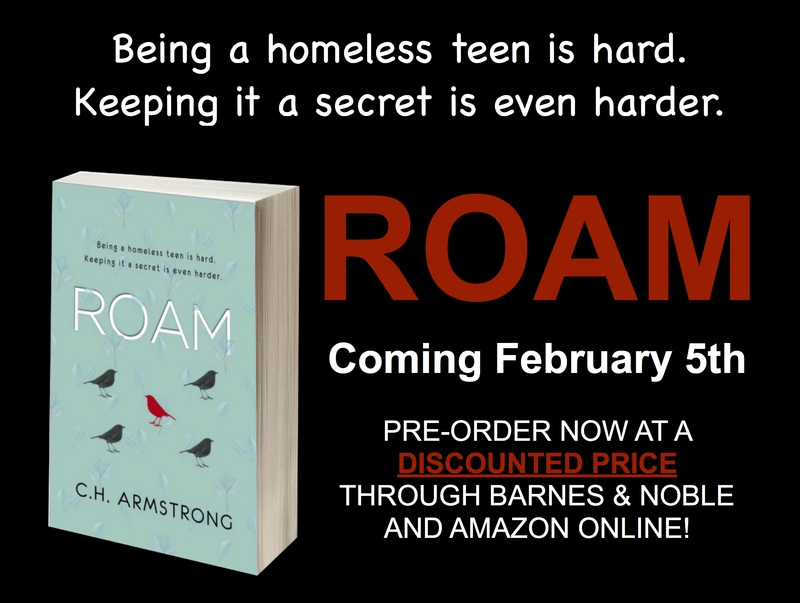 But there’s one thing you can’t buy in stores…at least not until February 5th: ROAM. If you’d like to get your hands on a free advance (signed) copy of ROAM — either for yourself or as a gift for a loved one — then you want to enter this giveaway gift pack! I’ll be giving away (1) Free Signed Copy of ROAM, (1) ROAM Coffee Mug, and (1) Fleece Little Mermaid Throw (believe it or not, it does tie into the story! LOL!). All you have to do is find my post on one or more social media outlets and follow the directions to enter! You can enter once for each social media outlet for every time you follow the directions. ENTER ON TWITTER: Use this link and follow directions to enter the giveaway! ENTER ON FACEBOOK: Use this link and follow directions to enter the giveaway! ENTER ON INTSTAGRAM: Use this link and follow directions to enter the giveaway! Contest ends on December 10th, and I will notify the winner by December 12th and mail the prize pack no later than December 15th. All prizes not claimed by December 25, 2018 will be considered null and void. GIVEAWAY! “ROAM” Holiday Gift Pack!